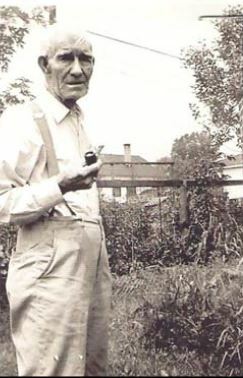 Zachariah was employed by the railroad for more than 50 years during which he served as a switchman, a brakeman, and a fireman. He was also a member of the brotherhood of Locomotive Firemen and Enginemen for more than 60 years and a member of the Retired Railroadmen’s Association later in life. He enjoyed listening to baseball games on the radio and playing cards. This entry was posted in Lawrence County, Owen County, Vigo County and tagged Jones, McGrew, Reed, Saltsgiver on July 14, 2014 by oahblog.